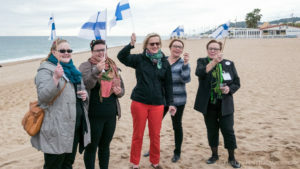 Join us at Kilven Kuoro! Do You wish to sing in a choir that has goals and a large repertoire in vocal music and still thinks it’s important to have fun singing? Join us! 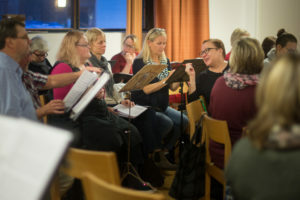 come to rehearsals regurlarly: We practise on Tuesdays at Alppila church (Kotkankatu 2) at 18 – 21. In addition to our weekly rehearsals we have weekend-rehearsals once per term, both in spring and autumn. Our rehearsals are held in Finnish. participate in the practical organization of the choir. 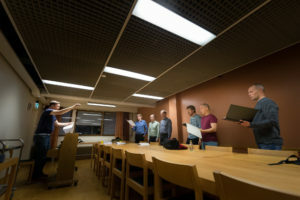 The choir board bears the main responsibility but every singer’s input is valuable in various tasks. we test your pitch, register, and prima vista skills. Right now we are especially looking for high sopranos and baritones, but other vocal ranges are welcomed to audition too. Sign up for an audition by contacting our conductor Hanna Remes via e-mail: hanna.remes(a)evl.fi.